Start off your week strong with today’s #EDGEucation report, keeping you up-to-date on the latest leadership changes, strategy shifts, and spending reports. We’re highlighting four actionable opportunities for you to pursue now, what more could you ask for on a Monday? 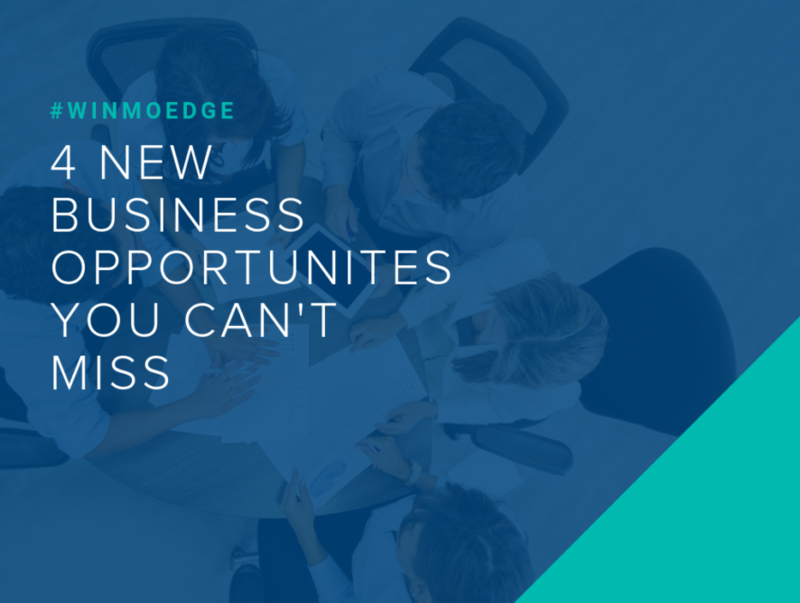 These insights are provided by our team of WinmoEdge experts that create daily updates on industry news to keep you in the know and winning more business. This week’s report includes a “Told Ya” follow up to demonstrate the timeliness and accuracy of our data. WinmoEdge translates industry shifts into quick reads you can act on. If you find this information helpful for you and your team, don’t hesitate to request a Winmo trial for more stories just like these. Retailer JCPenney has been a story of shifts recently with the announcement that CMO Marci Grebstein will step down in February, following other executive shifts prior to this move. JCP named a new CEO three months ago and is currently on the hunt for a chief customer officer. As you know, the changes are an effort to combat struggles for the retailer. The hire of a new CMO will present opportunity for agencies with a predicted review on the horizon. Since reviews tend to follow each other, this also presents itself as a media opportunity to watch. Media has been out of OMD for years, and digital is split between R/GA and WP Narrative. CEO Jill Soltau reported in a recent earning call JCP’s main focus is finding what demographic to target and the best way to do so. Typically engaging with the Gen-X and boomer audience, JCP may switch targets with their evolving marketing strategy. A rise in spend has occurred across all channels excluding print and radio, which declined in recent months. Spend will continue to increase in an attempt to overcome the company’s rough period. Don’t hesitate to reach out, and keep them on your radar for Q2 and Q4 when spend is typically highest. Our WinmoEdge team of experts is known for the timeliness and accuracy of their predictions. Following their update in November 2018, Harley-Davidson is now in the middle of a creative review after hiring SVP and CMO Heather Malenshek. We’re taking this as a moment to say “told ya” that a review was imminent. Some sources report that the finalists in the current creative review include Droga5, Deutsch LA, and R/GA but as always we’ll keep you updated as we know more. The agency chosen will be responsible for expanding brand appeal, and reaching different audiences including markets in China and India in the future. With the new agency, a new campaign is predicted as well, so sellers should reach out to stay top-of-mind for work. With other new marketing hires, Harley-Davidson is in a transforming mode in an attempt to reach millennials, women and multicultural demographics. Spend is constant year round, and those with automotive experience in particular are encouraged to reach out. The Kellogg-owned RXBar snack brand named Victor Lee their new CMO, effective January. Previously digital marketing SVP at Hasbro, Lee brings marketing experience to the team that will prove extremely valuable as they look for ways to expand. In an attempt to target a millennial demographic, RXBar invests in TV, digital radio and social media with no particular highest spending period throughout the year. This brand is one to keep on your radar with a reported increase in digital display spend in the past year. According to Adbeat, $305,600 was spent on digital display in the past year, mostly through direct. With a new CMO hire and continued success, RXBar’s growth is something worth being a part of. We recommend reaching out soon for work with a potential review on the horizon within 6-9 months likely. B2B financial service provider Kabbage rolled out its first major national TV campaign, made by Eleven. Founded in 2009, Kabbage has provided over $6 billion of funding to more than 160,000 businesses. The success continued into 2018, which marked the accomplishment of small business access to over $10 million daily. Be on the lookout for work year round, since a period of highest spend has not been established yet. When pitching, keep in mind their demographic is mostly male. According to Adbeat, in the past year, Kabbage has spent $209,800 on digital display. Our WinmoEdge team doesn’t have a media on record for Kabbage, and with such a quick rate of growth, this could be a necessity in the future. Another reason to be on high alert is several recent hires that signal a potential for and AOR shift.